One of the nicest feelings there is: seeing your name in print. The First Line’s Fall Issue has arrived in bookstores and online. Here‘s a list of participating bookstores, or you can purchase a copy through Amazon’s Kindle store or a PDF through the site. I’m really proud of this essay, because, although it’s hard to pick just one favorite writer or, to be honest, five of them, E.M. Forster is in all of my top-ten lists, that’s for sure. Anyway there’s lots of ways to read (as in interpret or get your hands on) my essay which begins with the premise that E.M. Forster’s first line “One may as well begin with Helen’s letter to her sister…” is the most marvelous way to begin a book that there is. Agree? Disagree? Let me know your thoughts if you have a chance to read it! And if you need an even better reason to support the arts than ravening curiosity about my opinions: it’s only $4 for a print copy and $2 for the PDF. “Always” was my word in the Daily Prompt game: grab a book, open it and Google the tenth word. What a romantic but nebulous word I thought. I couldn’t imagine how anyone could attach an image to such a vague, dreamy term, but when I googled it, I came upon a huge inflated image of a tampon box on the right-hand side of the computer screen in the internet section usually devoted to the bios of famous people. Dotted around the box are photographs of film stars from the film “Always” in which Richard Dreyfus’s character is killed by a fire, if I remember correctly and struggles to let go of his earthly love. No, say it. Only whisper it: always. It still means everything and nothing: it’s a word that promises. No wonder they want to steal it from us. First thunderstorm in Park Slope day after the Great Googa Mooga Festival: rainwater washes away red cups, lashes plastic forks down the steep hill leading to the flatlands of Brooklyn–the other side of the tracks, Gowanus, where the refuse will come to its resting place amid the ever-festive squalor and cheap consumption of shopping malls on Flatbush, cheese straws twisting around plastic Victoria Secrets’ hangers, cocktail umbrellas bedecking Kmart shopping carts. We were shut out of the festival this year, my husband and I. Exiles by virtue of procrastination. “Tickets sold out early. Online.” The vendors guarding the gate inform us, ignoring moans of despair. Like Kafka’s hero longing for our judgment to be repealed, we linger hopeful for hours by the gates, tortured by culinary smells of grandeur galore. All day revelers trudge up the slope, in our anguished view smiling smugly at us. And now the storm will wash their fun back down upon them. I watch my tiny yard turn verdant, sopping, bowed grass clean of pollen just as sidewalks are swept clean by the downpour. I reflect on the nature of revenge. I hear it all the time from people, but I don’t think it’s poetry people hate. I think that’s impossible. Poetry predates literacy. It is an old, old art form. I think it’s ingrained in human beings to love poetry, to write poetry, the same way it’s ingrained in us to love stories, to respond to them, to need them to help contextualize our own lives and to make the basic, brutal narrative arc we all share more bearable. I am born. I die. Swot. Cottage. Ogre. Diamond. Sorb. Lentisk. I’m not rambling. 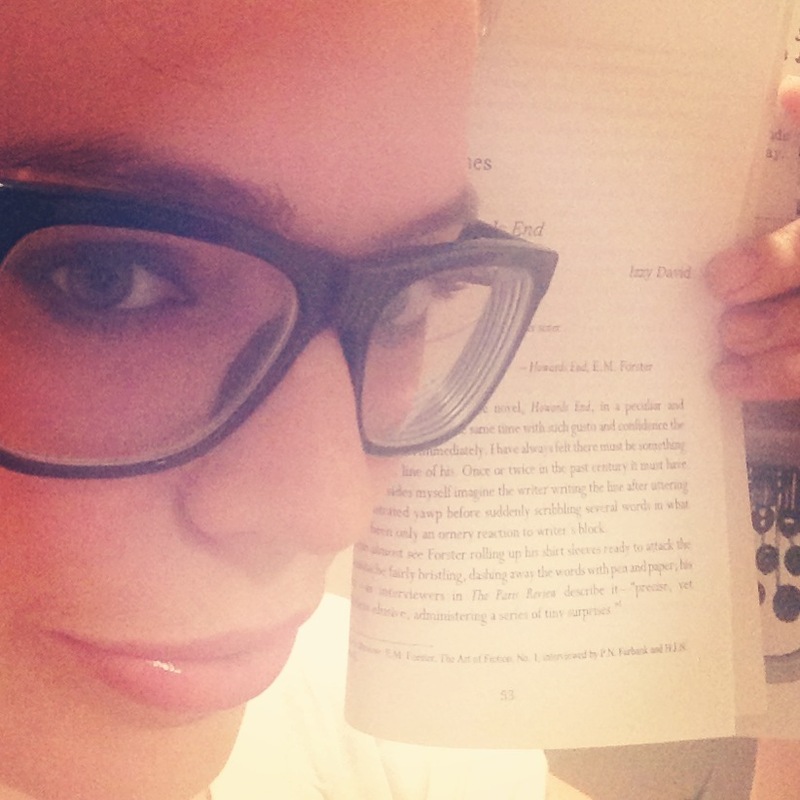 I’m answering your unasked question: I’m telling you why I love poetry. Poetry is words as instruments; poetry is the beauty of sound. Poetry is language made lovely and the world made lovely through it, even the ugly bits, even the impossible, painful part of that narrative arc, when we find ourselves halfway between being born and dying: the suffering part made bearable by poetry. And I admit: this is not the case for most poetry today. Most poetry today is cerebral, cold, intellectualized. It will not give you a shoulder to cry on; it will tell you you are too intense and stare at you clinically while you blow your nose with a kleenex. There isn’t any physical body in it, and that’s been my complaint for years, it’s neurotic, just an overworked brain. And so, years ago I turned to older poetry, poetry that is full of melancholy and good cheer and lust, too; poetry that could stand up alongside any hiphop lyric of the modern age. When Chaucer tells Rosemunde “she been of all beaute shryne,” he isn’t talking about her conversation. Despite my tone, I think there’s hope. Slowly I’ve found living poets to admire and learn from: poets like Nick Flynn and Michael Blackburn, a new obsession of mine, not to mention my friend Rosalind Jana, who recently won the Hippocrates Youth Poetry Prize. It’s the old poets though, who are my oldest, goldest friends. Little wonder that my love for the older stuff leaks through into my own poetry. When I wrote “Israfel Updated” live today at Every Day Poets here, yes, I was sampling Edgar Allen Poe, but he in turn was sampling the Koran. (Well, sort of.) I recently read this fantastic article decrying sampling in poetry, a loss of an original poetics, but I think what Calvin Bedient was writing about in his excellent piece is the kind of swotty sampling that is done to show you how very brilliant and cultured the writer is, and thus, we do not respond well to it, to that reactionary tone of superiority, but I hope my poem doesn’t fall into that category. Do you enjoy any poetry? What did you think of my poem? Did it bother you that it refers to another, earlier poem or did you enjoy that aspect of it? This poem is dedicated to the late, great Every Day Poet editor Robert V. Herrnfeld whose comment that my poem made her want to go back and read the original Israfel made me smile and say to myself, “Yes, yes, exactly! She gets it!” There aren’t many people who get us. I mourn her passing. I’m not the type to lust for diamonds. It’s always been books I’ve sold my soul for. I don’t know how many opportunities I’ve passed up, jobs I’ve called in sick to or invitations I’ve turned down, so I could stay home and read a book. And not necessarily “good” books at that. I faked a fever once to skip school and polish off a Grisham novel. I’m a lifelong sucker for stories. 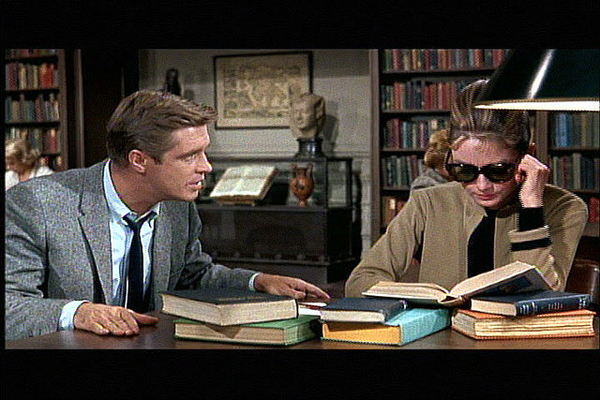 In “Breakfast at Tiffany’s” it was always the library scene rather than the early morning scene outside Tiffany’s that fired my imagination about the glamorous living to be had in New York City. When Audrey Hepburn’s character wants to learn how to be the perfect South American politician’s wife, it is off to the New York Public Library she hies, dressed to kill in her iconic lbd, a Givenchy couture coat and those ambivalent movie star look at me/ don’t look at me shades. The reality, as I learned the first summer I moved to New York, is the famous NYPL’s glamor is in the air and under your feet rather than in its patrons wearing the same t-shirts and button-downs you see on the streets. Furthermore, to my disappointment I discovered you can’t browse the stacks yourself and the long line of people waiting for books to be brought up from the bowels of the library is roughly shaped like some monstrous python, as if it were tickets to a rock show or a chance to score the latest iPhone rather than a book on the topography of southern China or the history of potted plants you must patiently wait for. Perhaps if I hadn’t grown so intimately acquainted with the stacks at UVA or NYU that I could find whatever book I wanted in them without even having to consult their virtual card catalogue, I might have been impressed with statistics: the New York Public Library is the third largest library in the world. But what does size matter when it’s an all day affair just to briefly borrow a book you can’t even take out of the library. The NYPL is a research library, not a lending library. However, with university libraries in New York City only accessible to current students, it’s still a wonderful resource and perhaps if it had funds for more librarians, it would be a more accessible one. Nevertheless, I couldn’t imagine waiting an hour for a book that day– a book that might not even prove to be the right book. Flash forward a few years for a moment: if Anthony Marx and the planners behind the CPL, bureaucratese for the Central Library Plan, have their way, scholars might have to wait 1-3 days in future for the wrong or right book to be funneled all the way from a warehouse in Jersey for chrissakes. Back then in 2006, Carrere and Hastings’ genius design, a seven-story stacks holding up the Rose reading room, meant the books were still literally underfoot. I said good-bye to my two friends who were studying for the bar at a long table, sunlight from huge and recently cleaned windows filtering down, making their endeavors appear holy, and made my way down the marble stairs, deciding at the last moment to pop my head in to the first floor’s exhibit on French book art, thereby experiencing the world’s most perfect mingling of words and art, inspiring me briefly to explore obtaining a master’s in illustration before I came to my senses and realized I’d more likely end up in debt without anyway of digging myself out except to sell my soul–what promises to be the fate of the library itself unless someone intervenes, and the last person who truly cared died recently, so who knows if anyone will step up? Still, that remains the moment I discovered that libraries, at least libraries in New York City, are still magical places and serve other functions besides being repositories for books. They inspire, they teach, they serve the community. My friends spent the summer studying in that library, both handily passing the New York and New Jersey state bar exams on their first try. Years later, while pregnant and bored, feeling abandoned by friends who continually invited me to drink with them at bars and clubs no matter my growing girth, it was the main branch of the Brooklyn Public Library where I found some sense of community, taking free Spanish and Portuguese classes, helping to tutor French and finding inspiration in another exhibit on art in the fashion world. If it weren’t for the Brooklyn Public library, I don’t know if I would have learned Spanish or rediscovered my love for sketching with or without obtaining a degree in it. While the book selection is paltry compared to the out-of-print treasures at UVA, the foreign language section offers everything from romance novels to children’s books to random great titles in literature like Stefan Zweig’s “Marie Antoinette” traduit de l’allemand or Antonin Artaud’s “messages revolucionnaires.” It’s an impressive selection for a public library, much better than the English selection I’ve found in French libraries, and I’m sure provides comfort to many lonely immigrants as the few books in English did for me the summers I spent near Allencon in France. Maybe that is why, ever since I was a little girl, I have loved libraries. We were not rich, and had it not been for libraries, my brain would have figuratively starved. I have always devoured books. Sadly, they were my only friends, and without libraries no one else would have hung out with me, and, as quickly as I read, nothing less than a whole, entire free library could have satiated me. Whenever I have the bad taste to discuss my passion for libraries at dinner parties, there’s an awkward silence, followed more or less by the same caveat: “Nobody uses libraries anymore.” But they do: pregnant, lonely, eccentric ladies aside, the library is filled with the most diverse population you’ll experience outside a subway car: retirees rub elbows with the unemployed, language enthusiasts whom I met taking free classes range from sophisticated journalists recently returned from Mozambique to a transgender woman who weekly and impressively matched her nail art to her outfits and spoke not a word of Spanish, although this never deterred her from attending and enthusiastically participating in Spanglish week from week. Many, but not all, of the patrons I met were very poor. For many the library is clearly their only resource, and the library is dying. Or rather: it is being vivisected. As part of the CPL, the city is seeking to consolidate and sell the Midtown Manhattan library for $100 million. I don’t think anything anyone could do or write could stop that sale, and I have to agree with Marx’s assessment of the MML: it’s a shithole. Still, selling it rather than renovating it seems a little extreme and more than a little suspect, considering the city has already sold the Donnell library branch near MOMA for $59 million to a real estate developer, who in turn has sold the penthouse unit for a cool $60 million. Worse, the city plans to squander $350 million “updating” the New York Public Library’s already glorious main branch in a nebulous plan with many critics who foresee a money pit situation, and in spite of the desperate need for basic renovations to the city’s 87 other branches in Manhattan, the Bronx and Staten Island. Not only will $150,000,000 of taxpayer dollars be diverted into this project, a horrible, modernistic “re-imagining” of the city’s most beloved masterpiece of architecture, but, as per one persistent rumor floating around the blogosphere, will result “in the cheapening of the majestic building, as the stacks area is transformed into a mega-Starbucks with plenty of couches and coffee-tables and bookshelves tucked unobtrusively into the background.” Since the plans lack all transparency, it’s hard to put this rumor to rest, and Tony Marx, the new president of the NYPL, probably more eager to hold on to his job after being charged with a DUI than to challenge the CPL’s overlords has consequently shown little interest in assuaging fears. That’s all the city needs: a giant lounge where city-dwellers can update their Facebook statuses with greater ease. 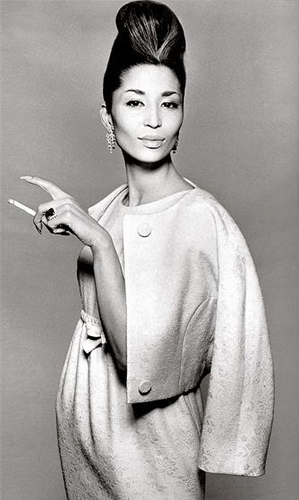 In truth, there are very few Audrey Hepburns to be found at public libraries nowadays. Audrey Hepburns of today do their research on Kindles over a glass of rose at Cafe Gitano in Soho. What libraries now exist as are mostly places to educate and serve the “lower classes,” highly expendable in the city’s real-estate scion family view of New York City’s future. The dying library system is just one symptom of a greater ill. New York City was once a cradle and grave for some of the world’s most wonderful wordsmiths– Whitman and Dylan the singer and the other Dylan who died here and oh so many others. What will it be without affordable apartments, without libraries, without hospitals? Just a backdrop for wealthy men and women to endlessly gorge themselves on outfit photos, displaying how nullifyingly “glamorous” their dull but doughy lives are? Glamor’s root word means “magic” in Old English. That invisible, trickster element that has made New York so richly unique and enviable a spot, the capital city of the world, so much so that the very land a library is on becomes worth tens of millions of dollars, will vanish with the vanishing libraries. Who wants to live in a soul-sucking, fungible Starbucks? Where the musicians, the poets, the writers and thinkers go, where the books go, that is where magic will follow. If the CPL planners have their way, all they will leave behind is a giant mall typified by nothing more than very expensive boxes that once were libraries. I never dated. I met someone in college at a computer lab, we got to chatting about my French paper, one thing led to another, and he was my boyfriend and best friend simple as that without having gone on a single official “date.” After we broke up, approaching the jaded NYC dating scene with this kind of bright-eyed, bushy-tailed BFF (as much as) BF-seeking behavior led to problems of its own…you’ll see! Please check out my article and share your own dating tips with me. I’m definitely collecting advice to pass down to my own daughters. Thanks!